DOOMEDnyc Skarpari Knife Roll Chef's Knife Roll Designed in Collaboration with Skarpari Blade Works. Perfect for the traveling chef to keep their tools protected and organized. 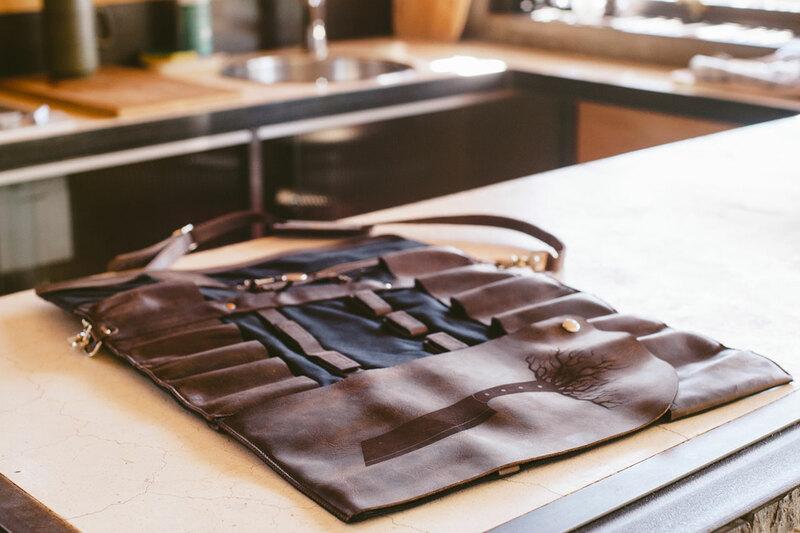 Chef's Knife Roll Designed in Collaboration with Skarpari Blade Works. Perfect for the traveling chef to keep their tools protected and organized. Visit Skarpari Blade Works to shop beautifully handcrafted heirloom knives.